Even when it’s not about Donald Trump, it ends up being about Donald Trump. Saturday night during the 41st season premiere of Saturday Night Live, Democratic presidential candidate Hillary Clinton made an appearance and starred alongside her now two-season impersonator Kate McKinnon. She was down to be in on the jokes about herself, but she also made sure to get in a joke about Republican presidential candidate Donald Trump. And nailed it. 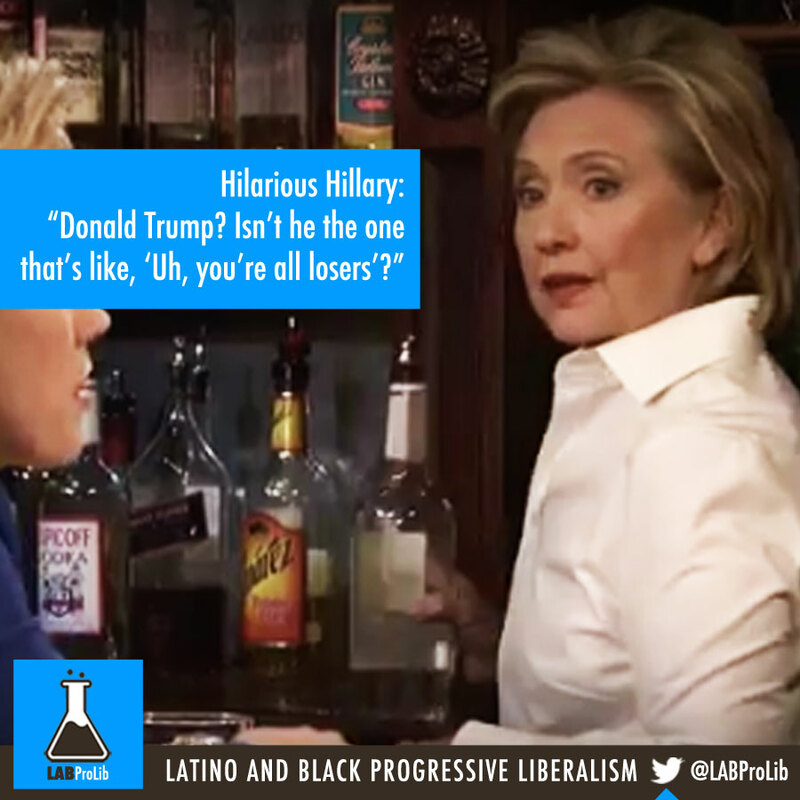 Hillary Clinton played an all-too-cool bartender named Val who chatted with a distressed presidential candidate, Hillary Rodham Clinton, played by McKinnon. This marks the second time the Democratic candidate imitated Trump. She took a jab at the Republican nominee with an imitation on The Tonight Show Starring Jimmy Fallon on September 16.